Series editors: J. Michael Spector (University of North Texas – mike.spector@unt.edu), M. J. Bishop (University System of Maryland – mjbishop@usmd.edu), and Dirk Ifenthaler (University of Mannheim – dirk@ifenthaler.info). The series editors will serve as peer reviewers and may enlist additional reviewers. 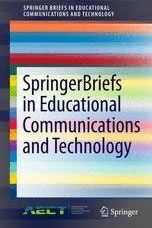 The purpose of the series is to extend AECT’s ongoing book publication arrangement with Springer and to offer the innovative format of SpringerBriefs to AECT authors and contributors. Briefs are short monographs (typically 50 to 100 pages) by at most two authors on a tightly focused topic of current interest. 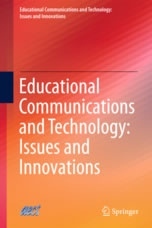 The intended audience for the book series is made up of researchers, graduate students, and professional practitioners working in the general area of educational information science and technology, including, but is not limited to, academics in colleges of education and information studies, educational researchers, instructional designers, media specialists, teachers, technology coordinators and integrators, and training professionals. Click here for guidelines in submitting a Book (or Brief). SpringerBriefs are concise summaries of cutting-edge research and practical applications that span a wide range of fields. Featuring compact volumes of 50 to 100 pages, each series covers a range of professional and academic topics. Briefs have a quick turnaround time and will be available as eBooks and MyCopy editions (printed texts with a softcover binding). • A timely report of state-of-the art analytical techniques and instruments, • An overview of a testing and evaluation method, • A snapshot of a hot or emerging topic or policy change, • An in-depth case study, • A detailed report of a program evaluation, • A review of research/literature. For more information and to learn how to submit a proposal for Books and Briefs, please see the instructions for authors at https://aect.org/docs/AECT-Springer-Proposal-Form.pdf.